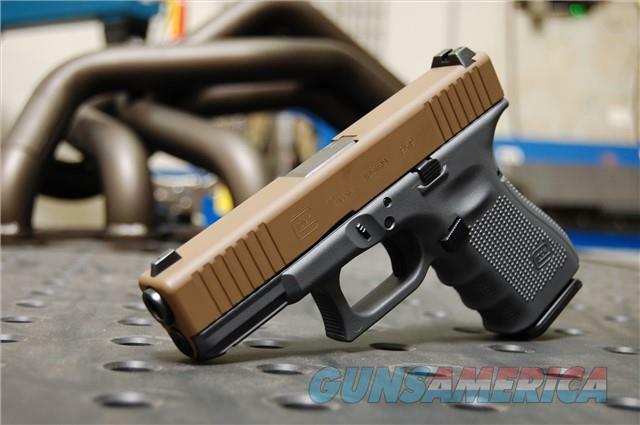 Description: New in box X-Werks coated Glock FDE and Glock Grey 19 Gen 4 Steel model! The newest release from Glock! Gives you all the same features of the Gen 4 models but with added front slide serrations for better grip, Steel fixed sights and an extended slide stop! Comes with 3 15rd or 10rd mags depending on what state we're shipping too. Also includes 4 interchangeable back straps, manual, Glock case, lock and cleaning brush!